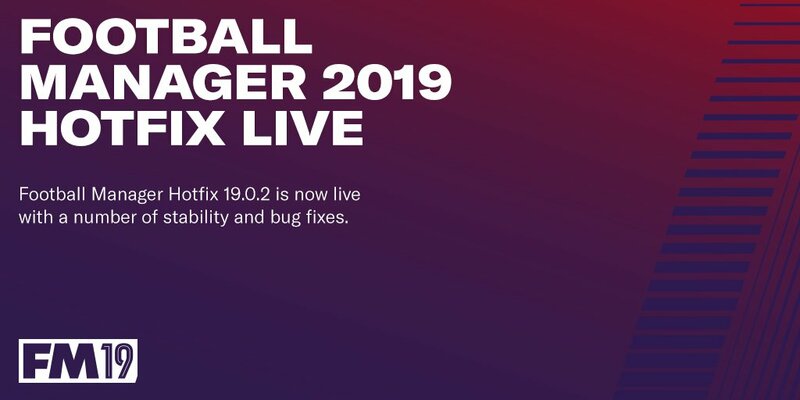 Just a quick announcement to say we’ve released a hotfix for the Football Manager 2019 Pre-Release Beta. As always the hotfix is save game compatible allowing you to continue the save game you may have already started. However if you’ve been affected by the competition issues as highlighted below, you may need to start a new save. If you have the game open, we recommend making sure to save and exit. Once you’ve done so, the update should automatically start within Steam. If for whatever reason you find it isn’t updating, we recommend restarting Steam. We’d like to take this opportunity to thank everyone who has taken the time to raise any issue they’ve come across with the Pre-Release Beta, it really is incredibly helpful to us in making the game the best it possible can be. We appreciate there may be additional issues that have been raised which aren’t included below, but rest assured our team is hard at work with issues posted here on the forums so far.